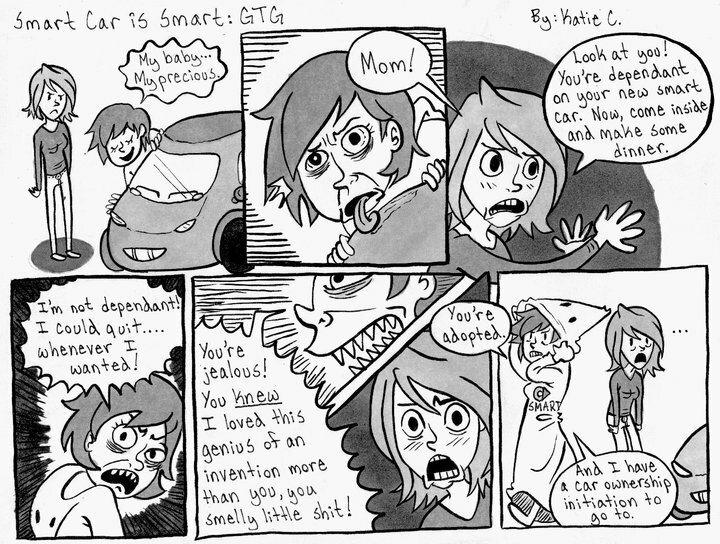 So this here, is my favorite strip from a short story arc I was testing for the Daily Texan. The adventure involved a mother who's mind was taken over by her love for her new smart car, and held prisoner at the Smart Car factory. 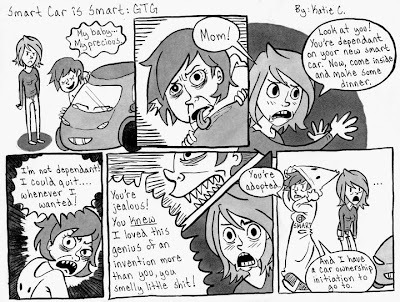 Her daughter attempts to rescue her with the help of her brother and Hobo Man, and in the process uncover the horrible secret of how the Smart Cars can be so freakin' environmentally friendly. Don't get your hopes up, the project was a failure. But! It was a great learning experience, and damn fun too.